A MAN’S body was found in a city street in the early hours of this morning. Police said they were called to Ford’s Road, off Gorgie Road, around 4am and found the man dead. Officers said the death was being treated as “unexplained”. Police tents are reported to have been set up close to the Water of Leith bridge. Police appealed for anyone with information to get in touch. 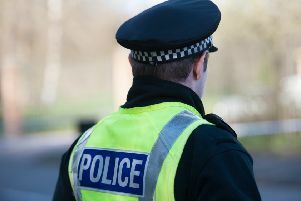 A Police Scotland spokesperson said: “Police in Edinburgh are investigating following the discovery of a man’s body in Ford’s Road. “The incident was reported around 4am on Thursday, March 7. Police and emergency services attended, however the man was found to have sadly passed away. “Inquiries into the full circumstances are ongoing and the death is currently being treated as unexplained. A report will be submitted to the Procurator Fiscal.